This weekend saw the opening of Frontier Park Starbucks here in Blackburn (BB1 3HR), our 110th store! 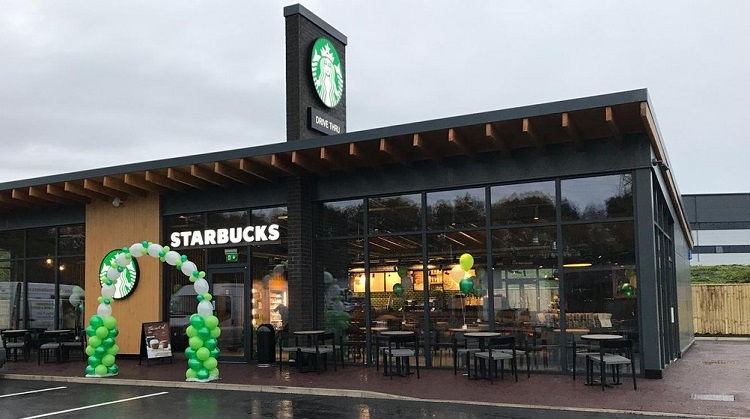 Featuring a drive thru and an incredible in-store design, Frontier Starbucks is sure to be a hit with locals and commuters alike, in it’s handy position on Junction 6 of the M65. The store looks incredible and Orsi and the team did an amazing job on opening day. Congratulations to all involved. If you missed the opening of our Frontier Park petrol station and Drive Thru Greggs (!!! ), click here.